“TEA IS HUMANITY IN A CUP” The Academy of Tea was founded on the belief that proper tea education is fundamental in a world where the love of tea and the passion for tea continues to grow at an increasing level. The TAC Certified Tea Sommelier program, offered by the Academy of Tea, is the only certification course accredited by and supported by the tea industry. We pride ourselves on being associated with this program and being the sole institution that offers this course online. 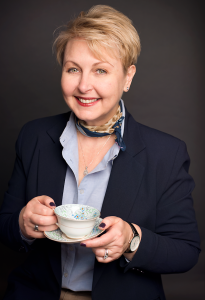 Tina McDonald has loved tea since she was a little girl, having garden parties and drinking tea out of tiny ceramic cups with her great-grandmother in Kent, England. Since then, she has been tenaciously tea-focused, poring over yard sales, flea markets, and auction houses for tea-related accouterments – all for a beautiful cup of tea! When not curled up with a good book and her favourite short oolong, floral white, or big bold black tea, Tina can be found participating in such varied pursuits as Geocaching, watching comic book movies, or puttering in the kitchen endlessly trying to perfect her choice recipes. 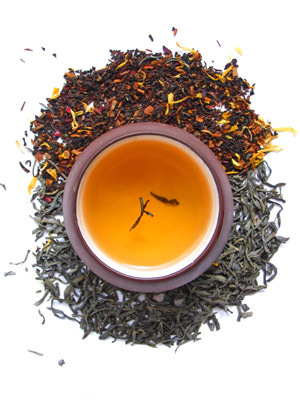 Tina’s knowledge and love of tea will become a memorable part of your tea journey.